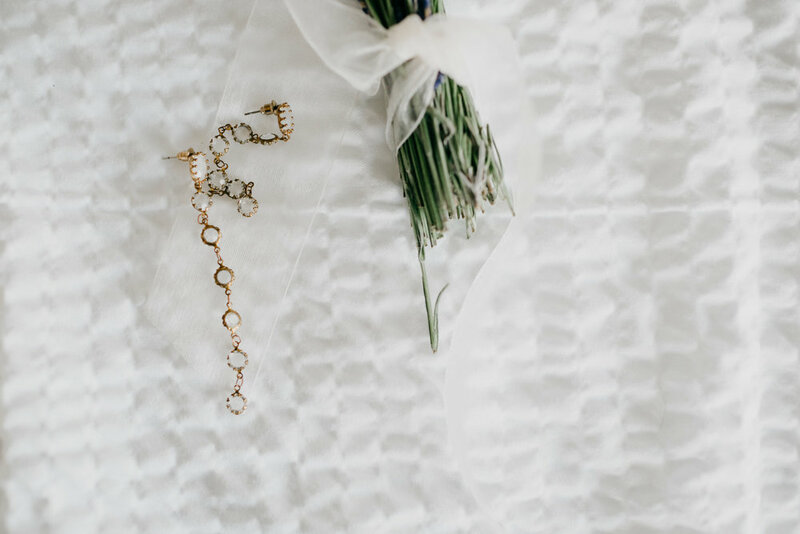 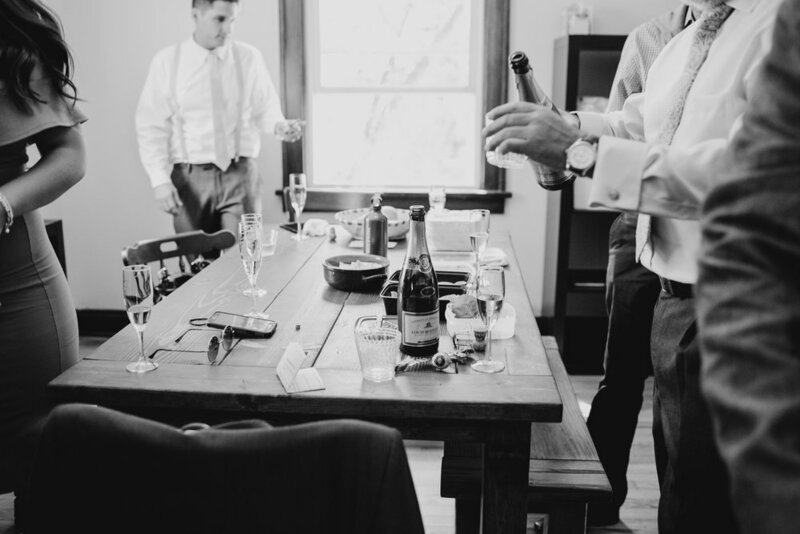 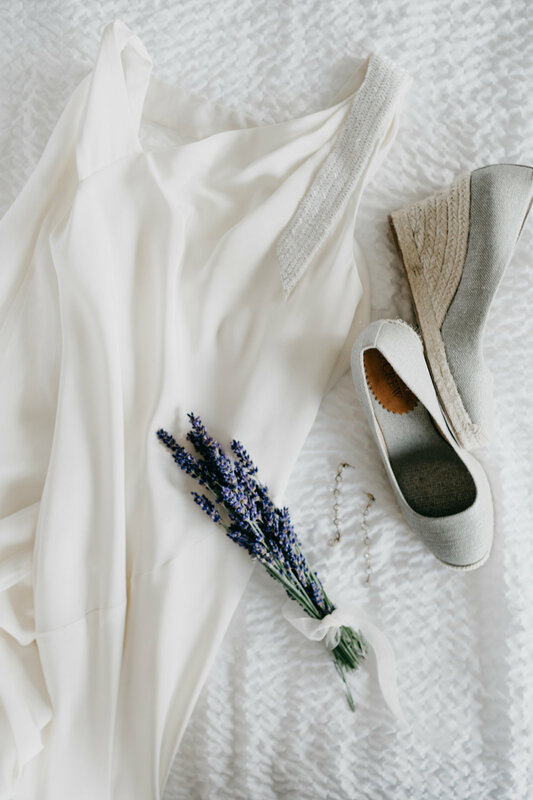 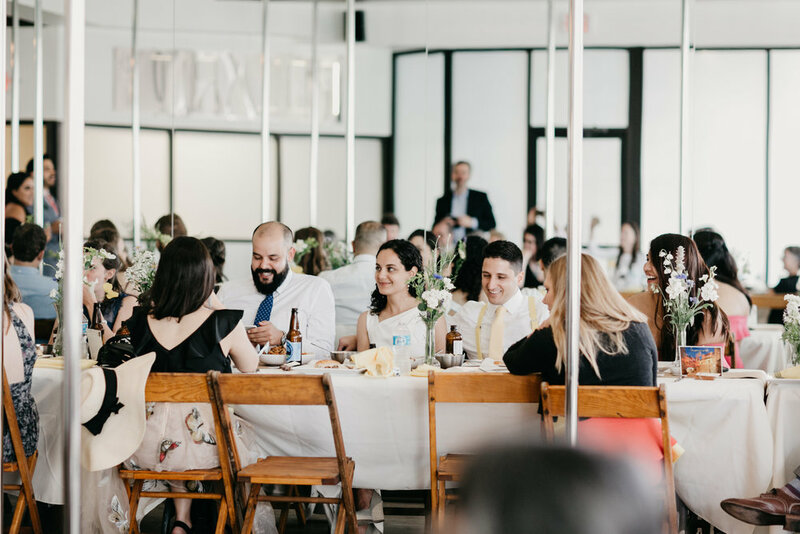 The idea of making your wedding totally your own, totally "you" as a couple, is my favorite thing that's growing in the wedding world right now. 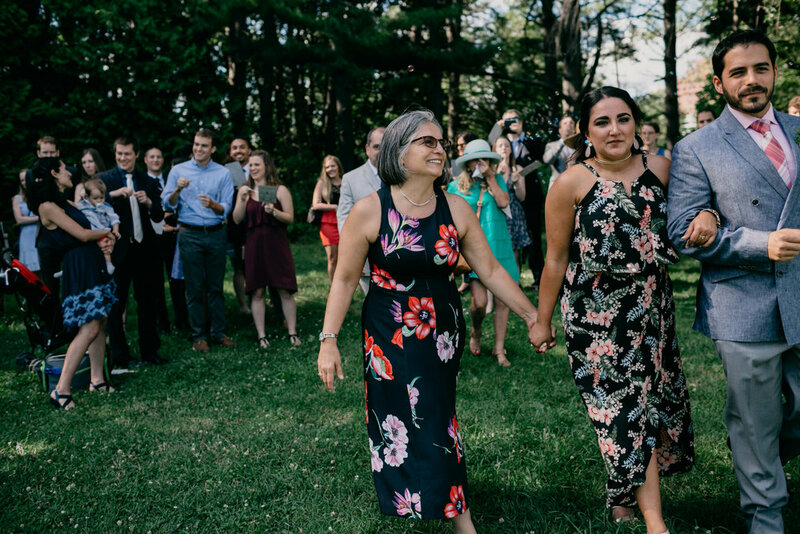 I have a special place in my heart for traditions, but I think it's good to participate in traditions that mean something to you. 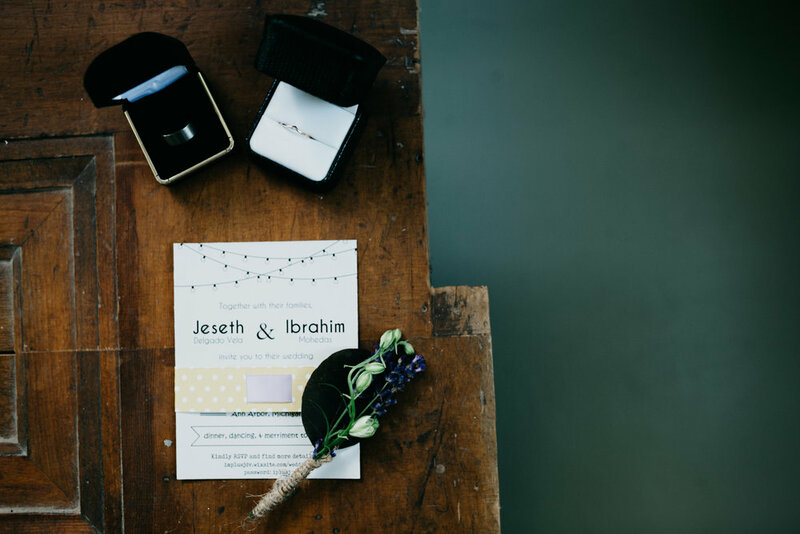 Jeseth and Ibrahim had a beautiful outdoor wedding in June that was completely them, tied together with traditions and family. 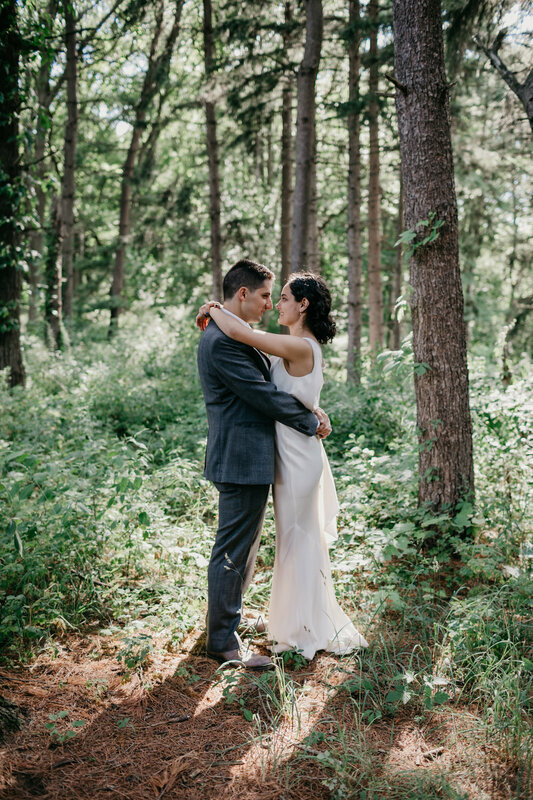 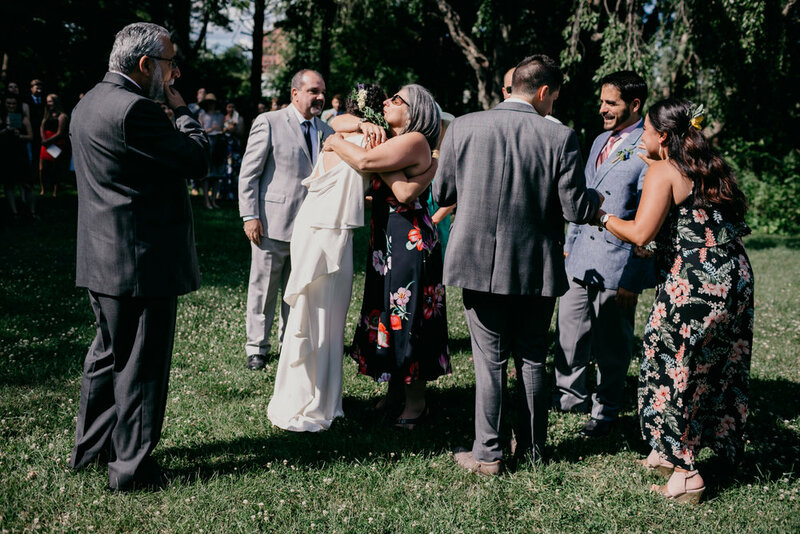 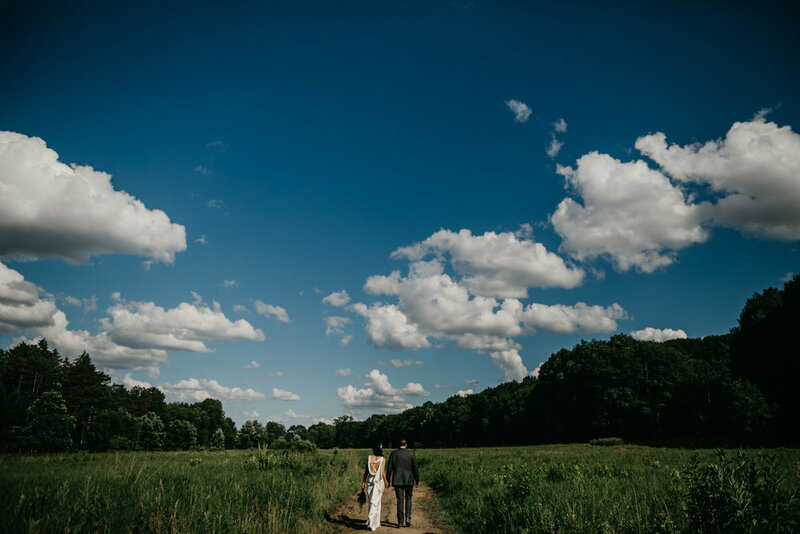 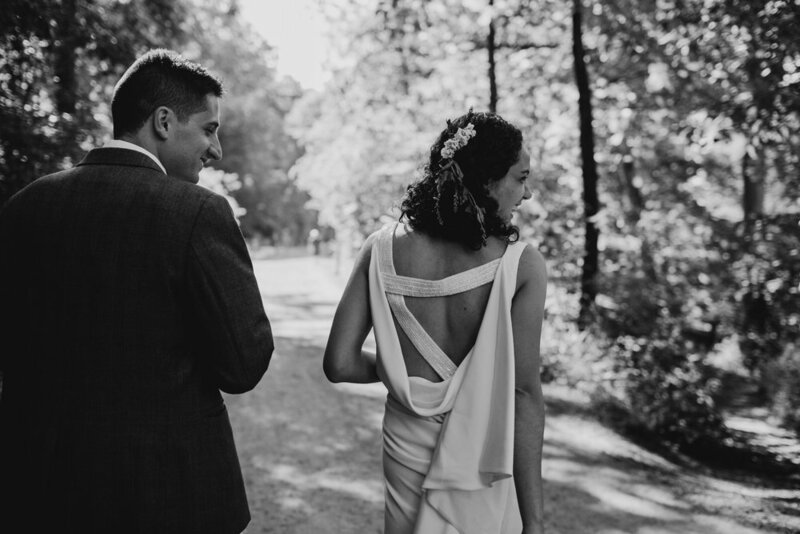 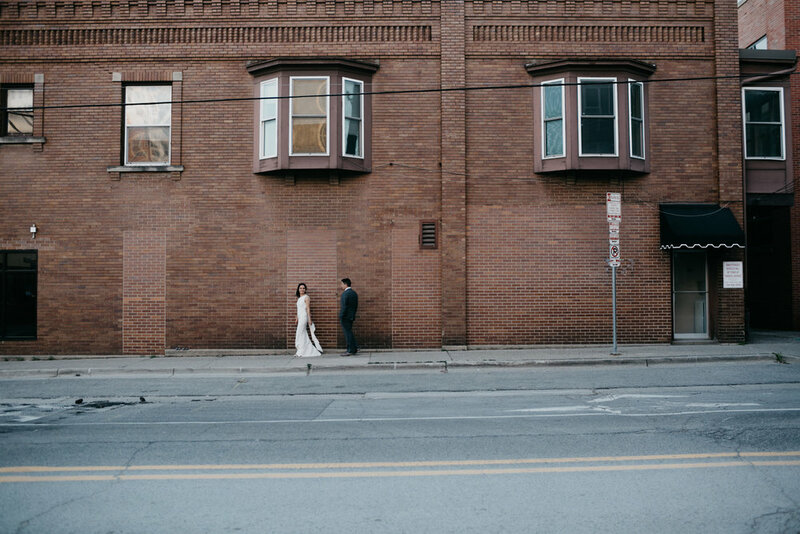 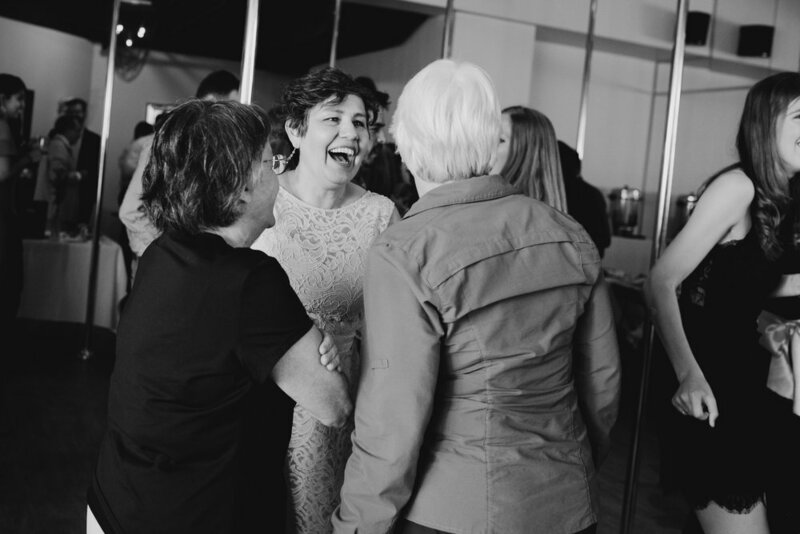 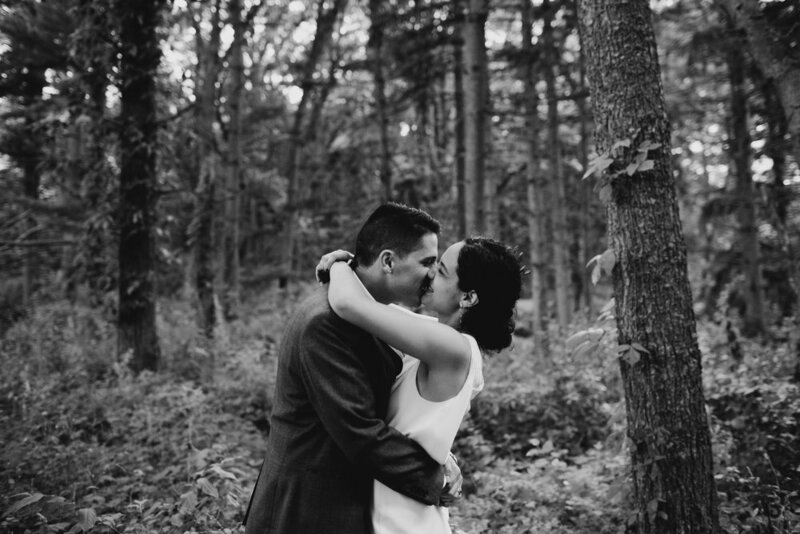 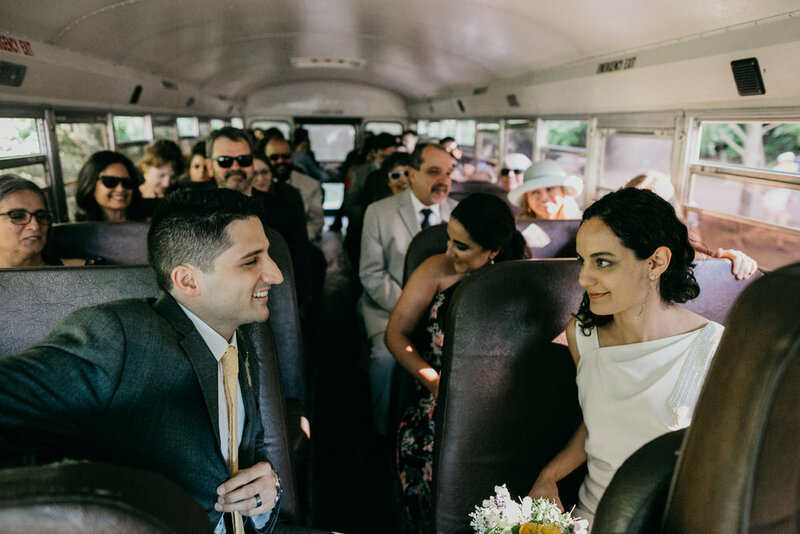 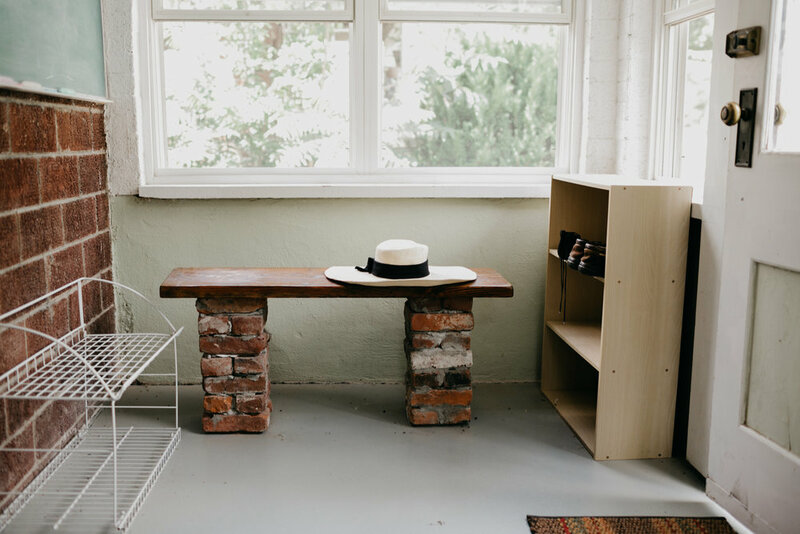 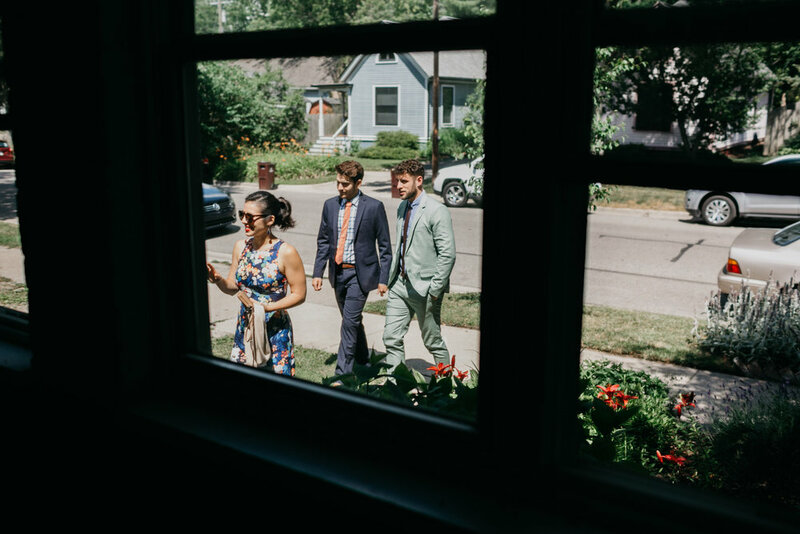 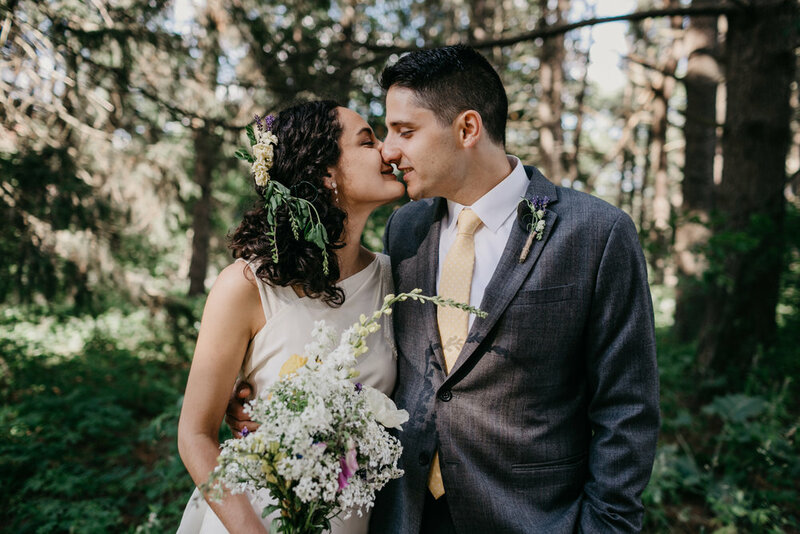 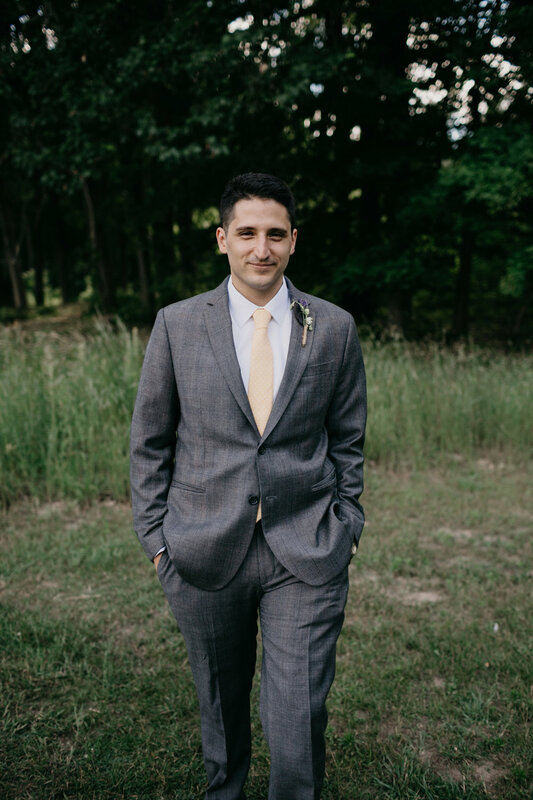 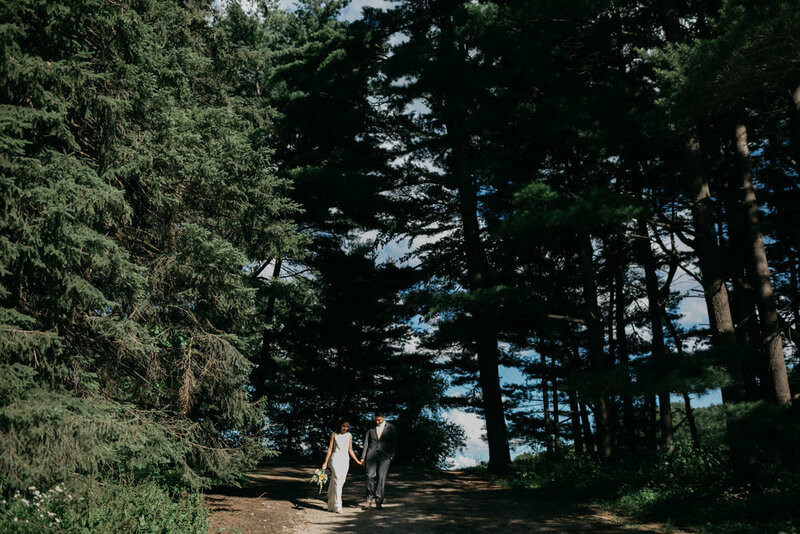 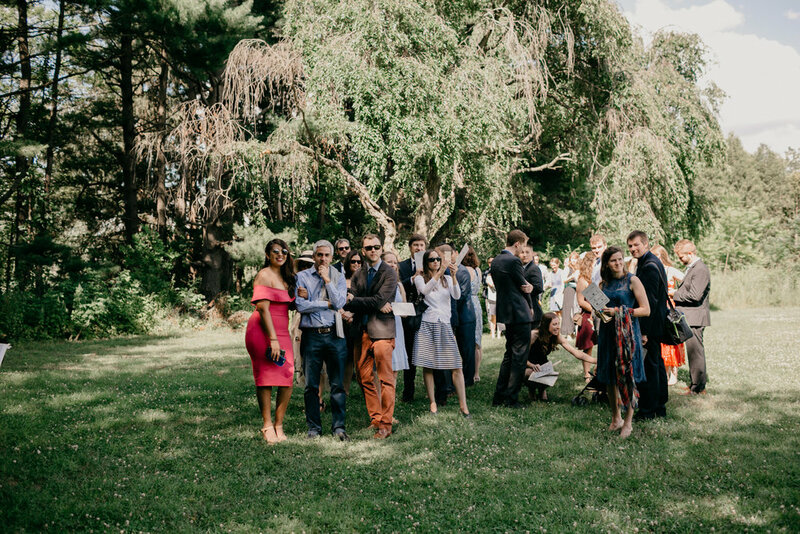 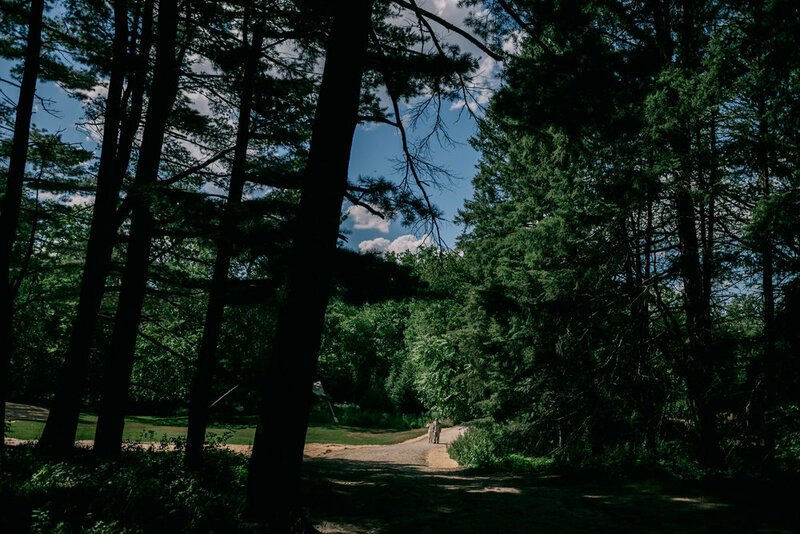 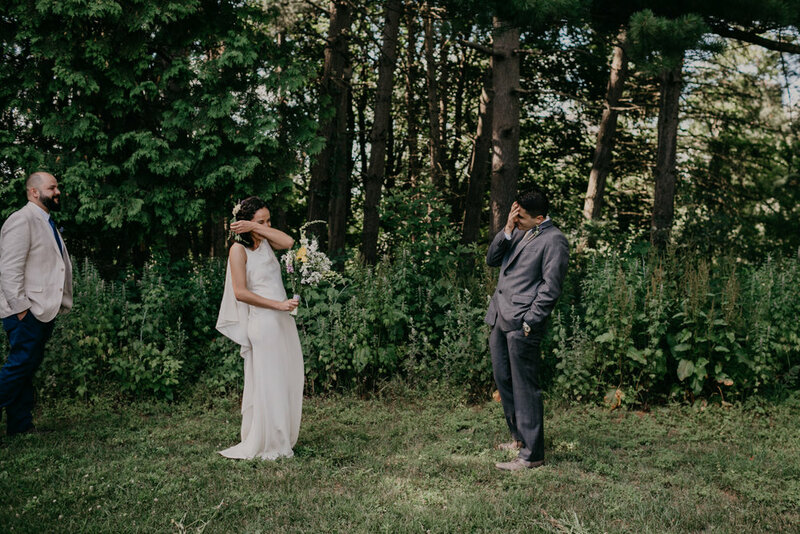 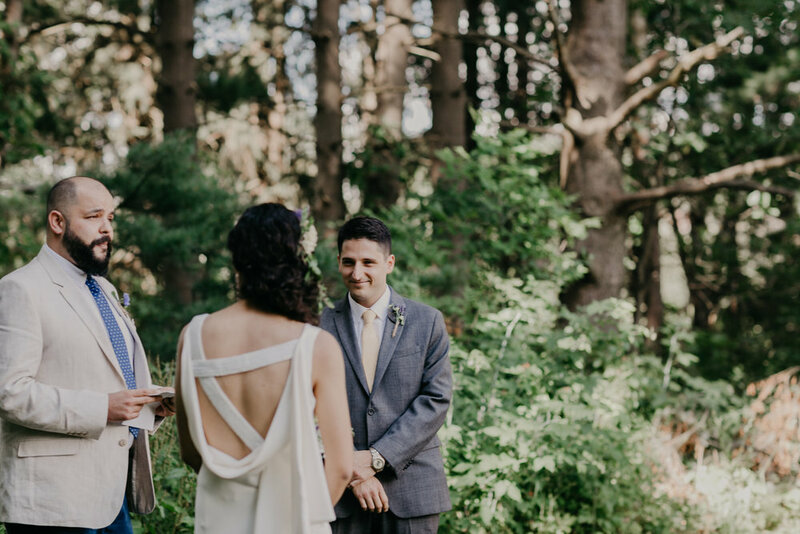 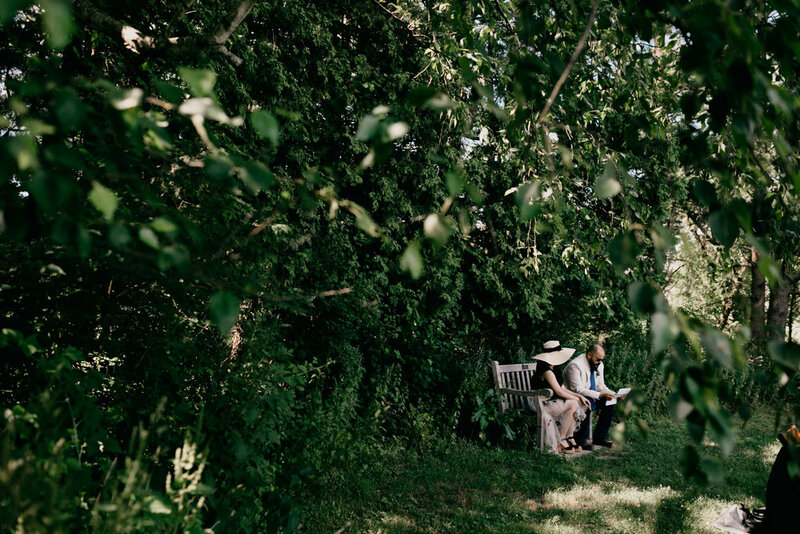 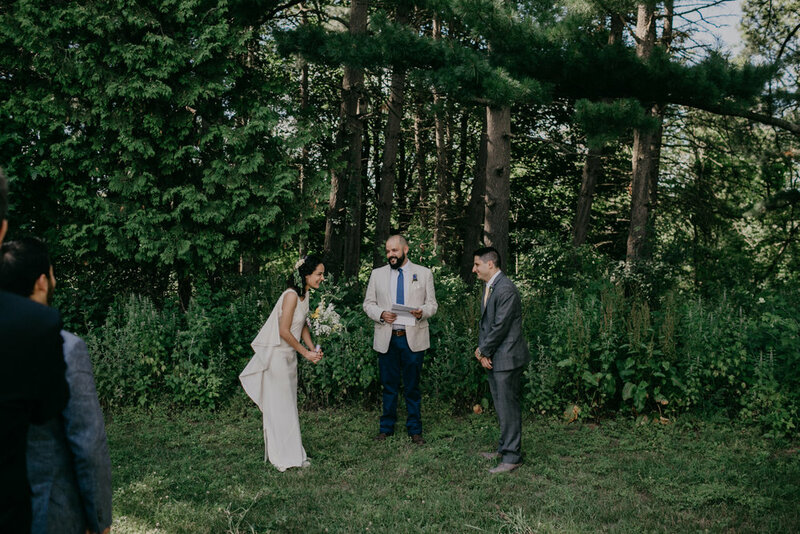 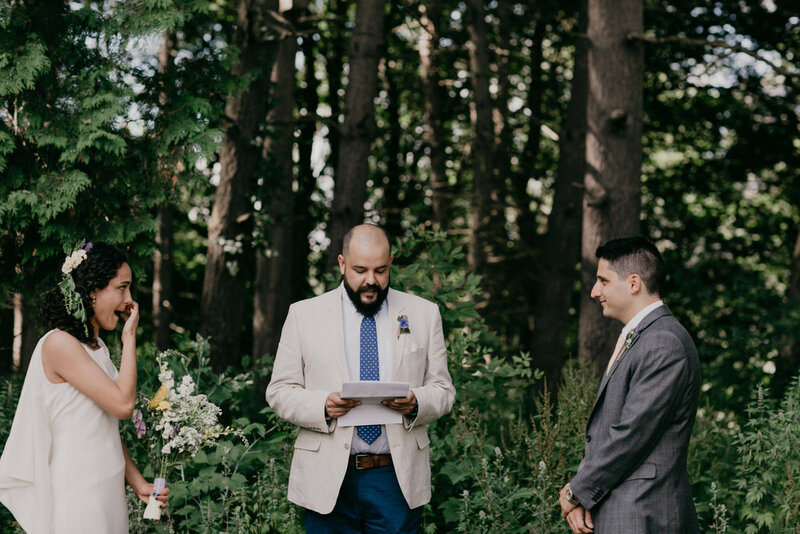 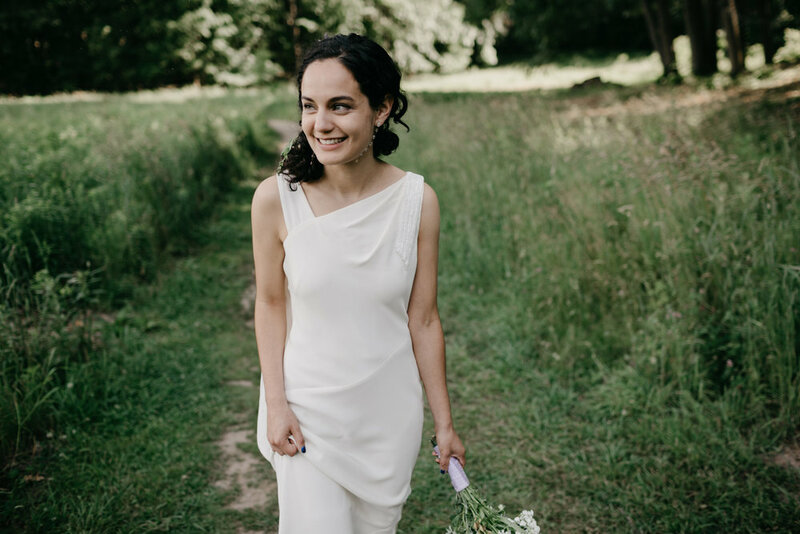 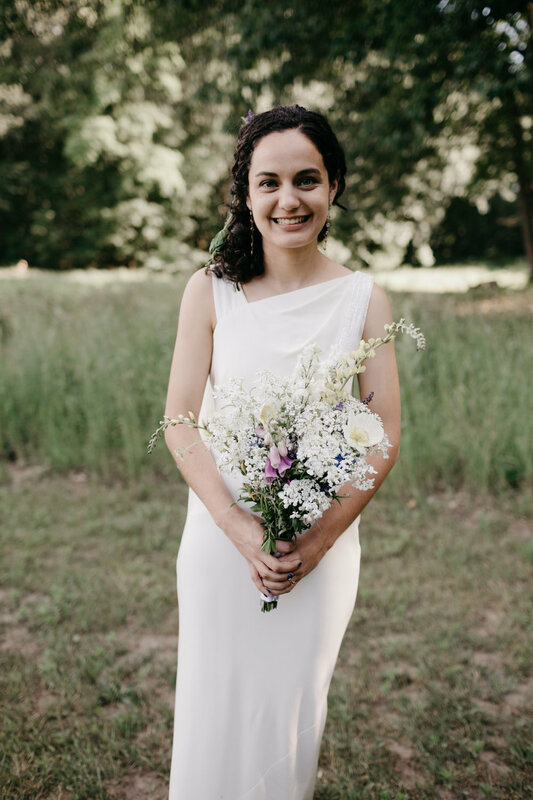 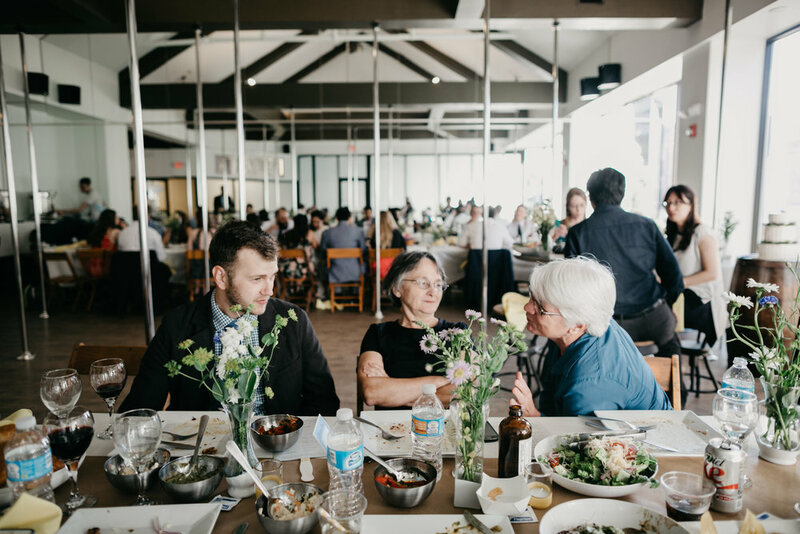 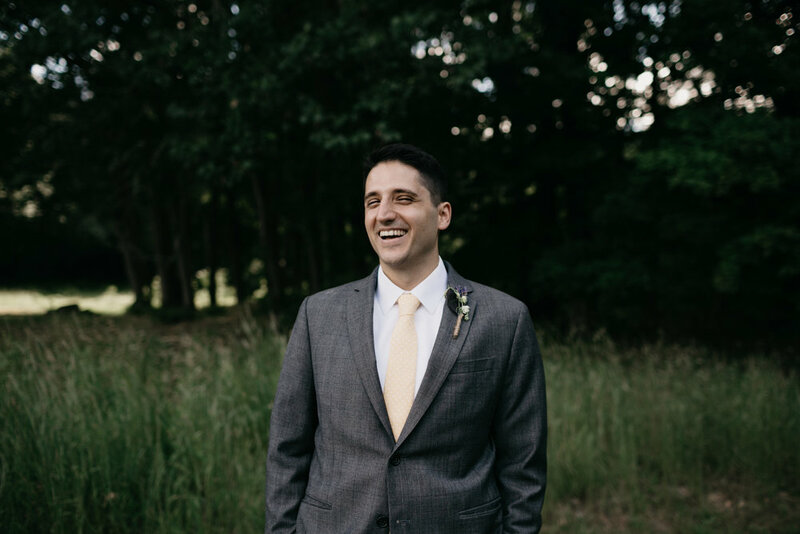 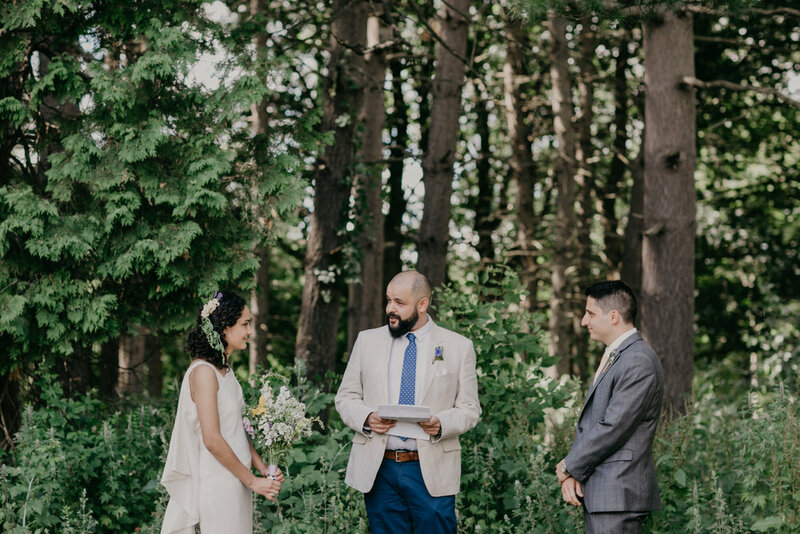 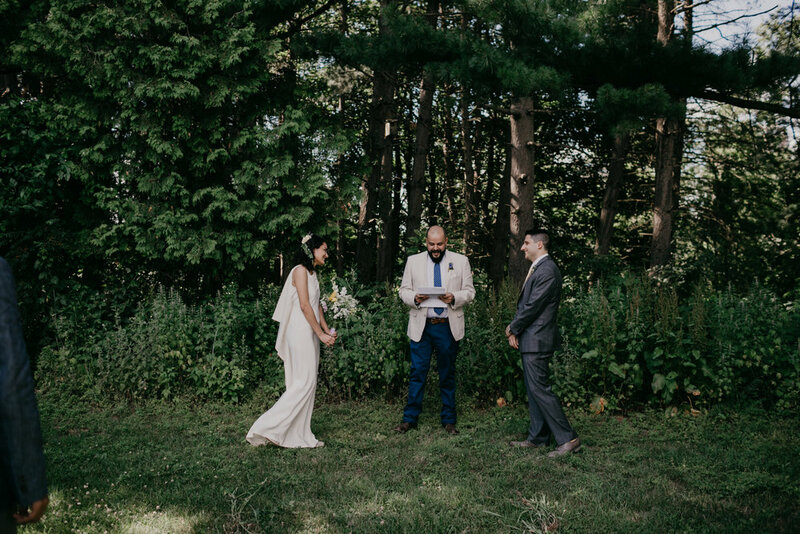 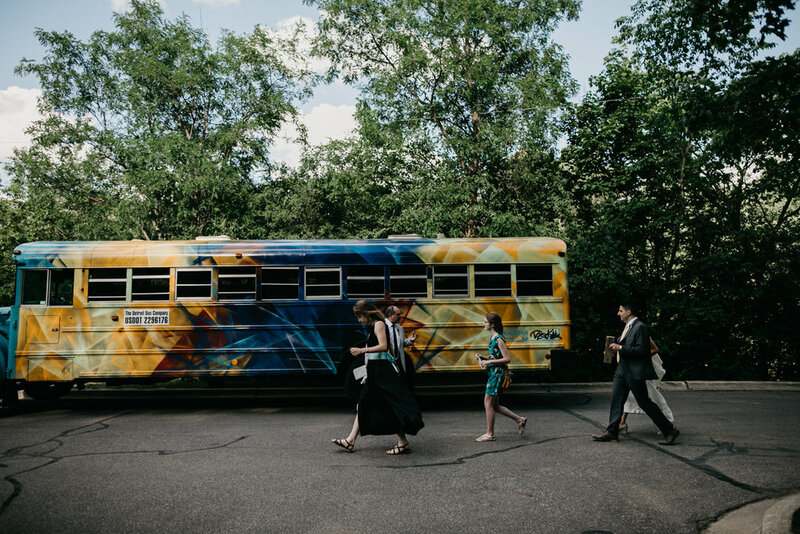 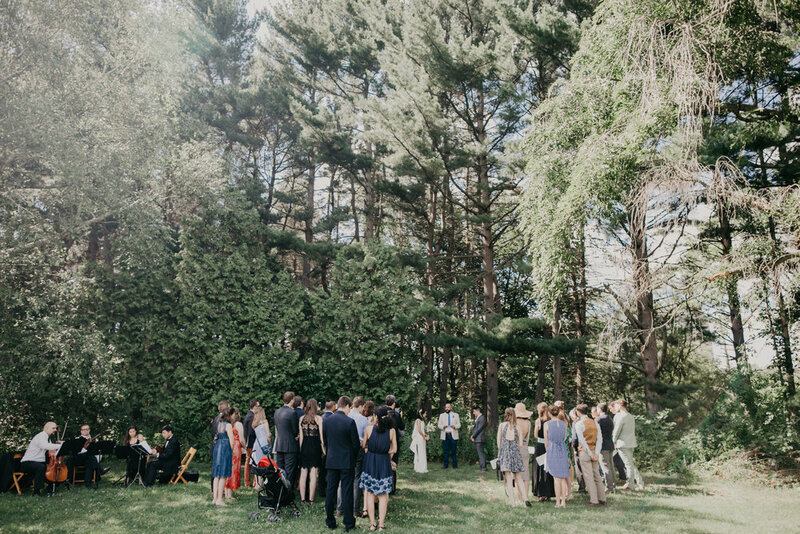 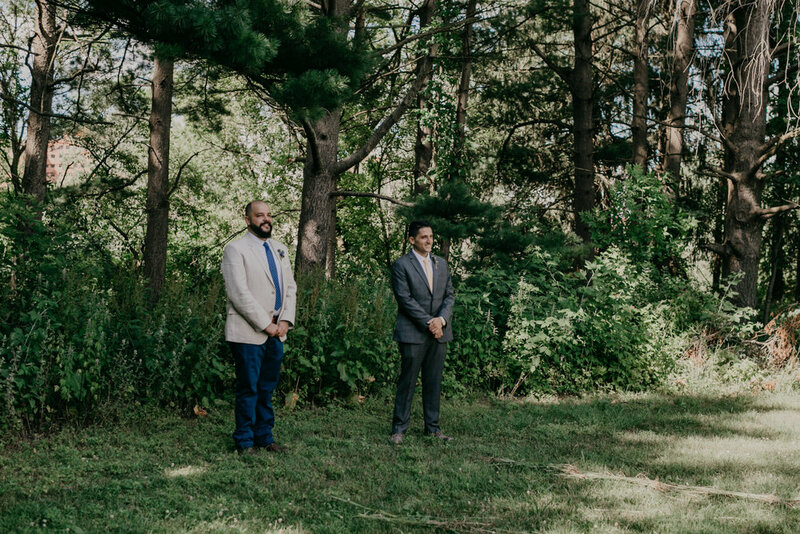 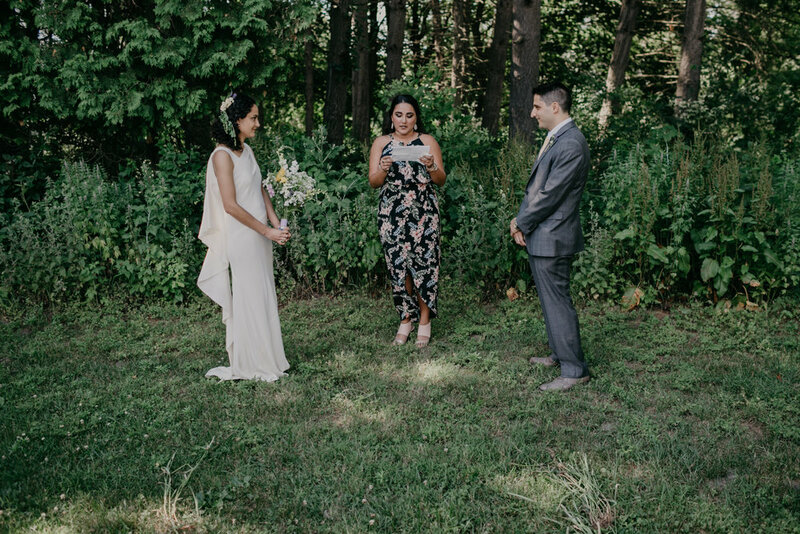 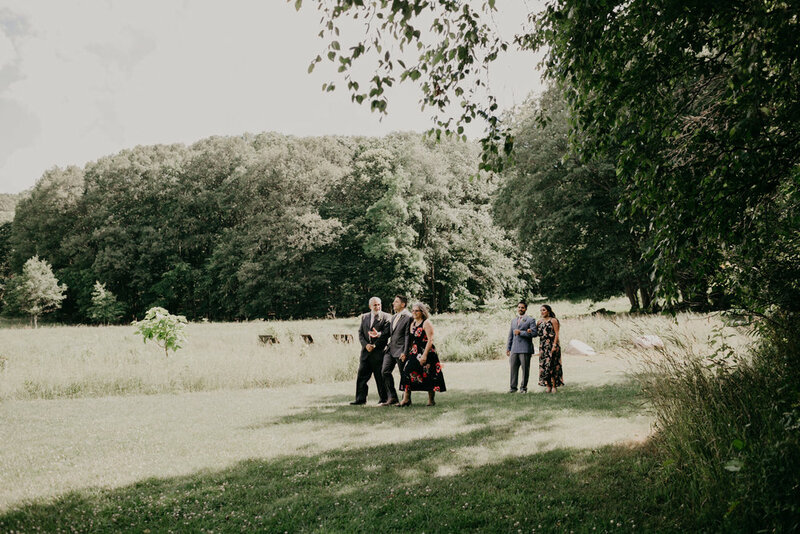 They had guests meet up at their home in Ann Arbor so they could all travel in the coolest bus to Nichols Arboretum, to venture down one of the loveliest river walks, and up a path to a an open field on the edge of the woods where they would all gather. 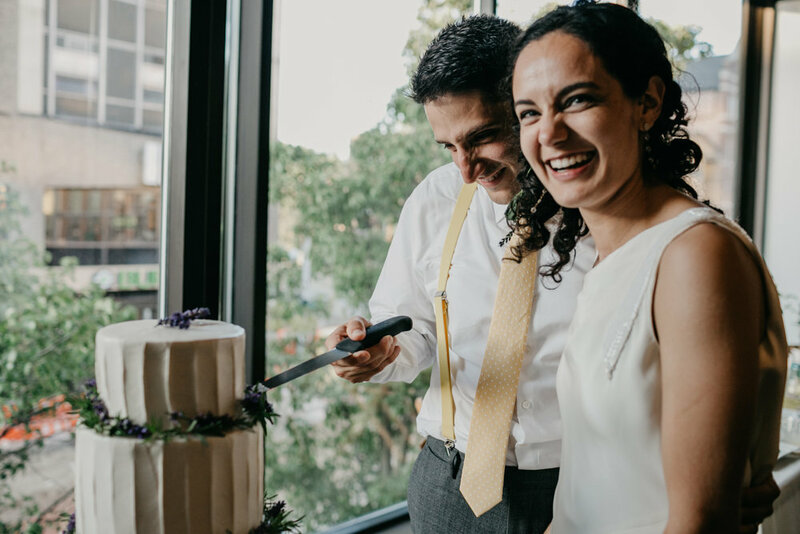 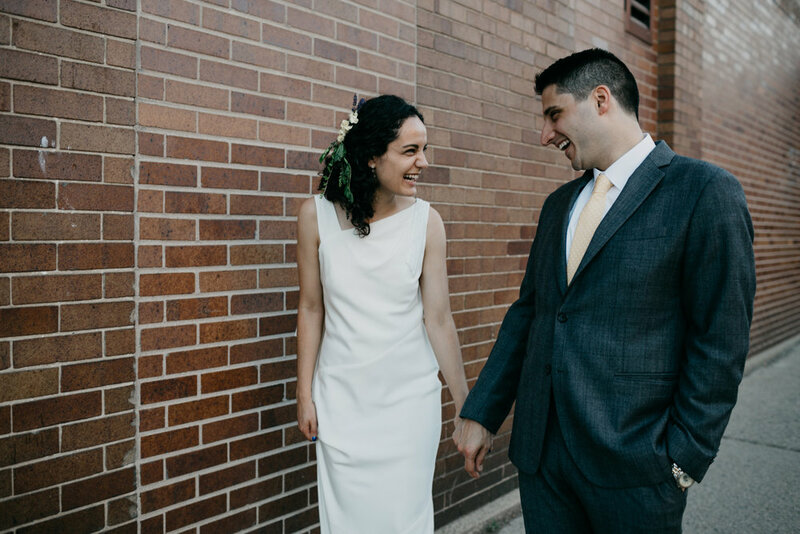 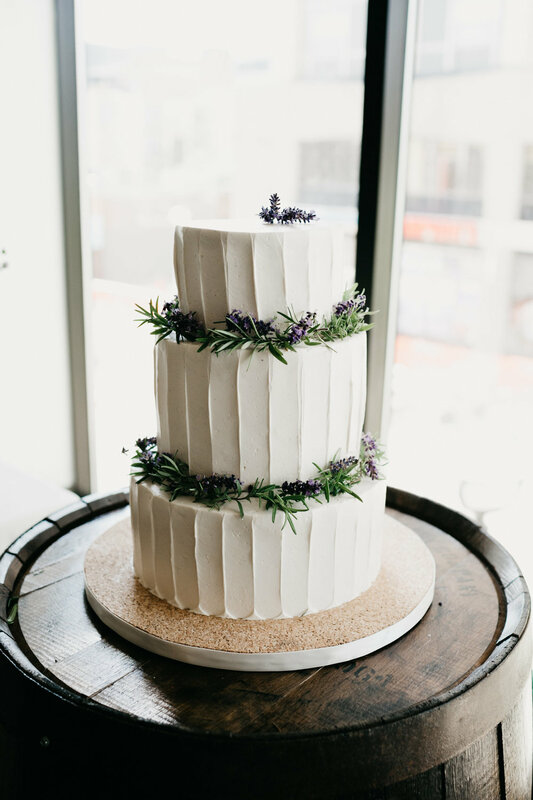 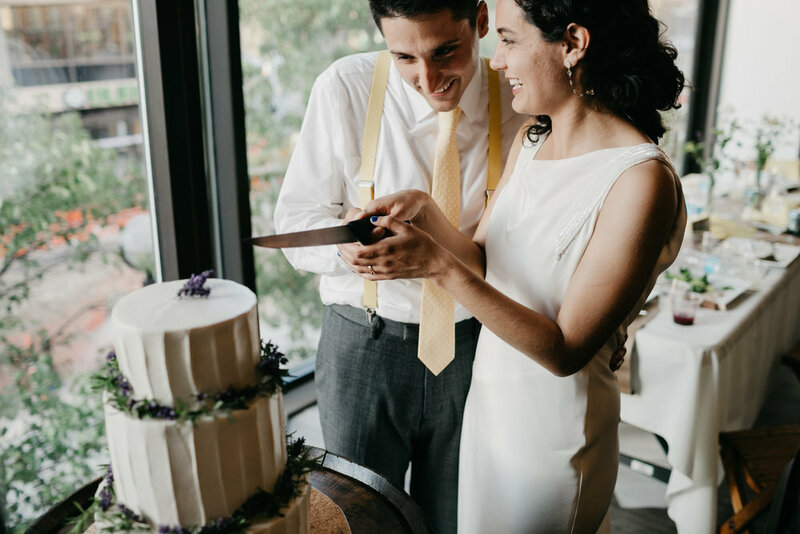 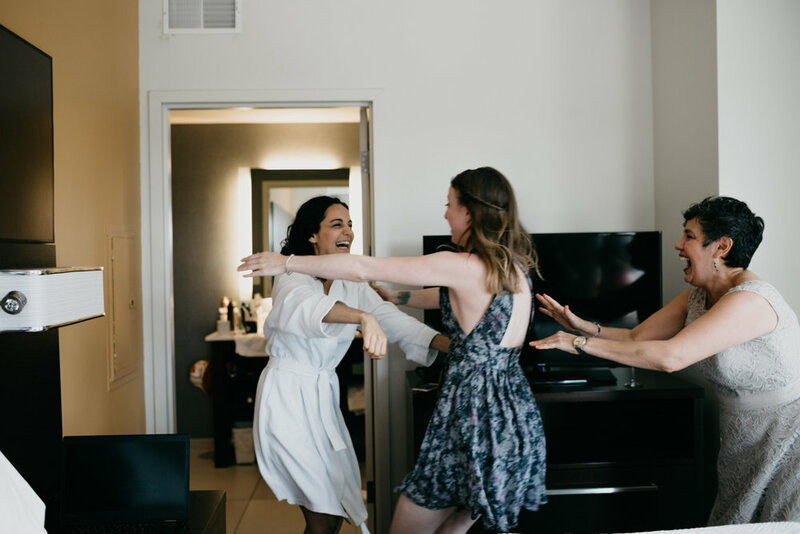 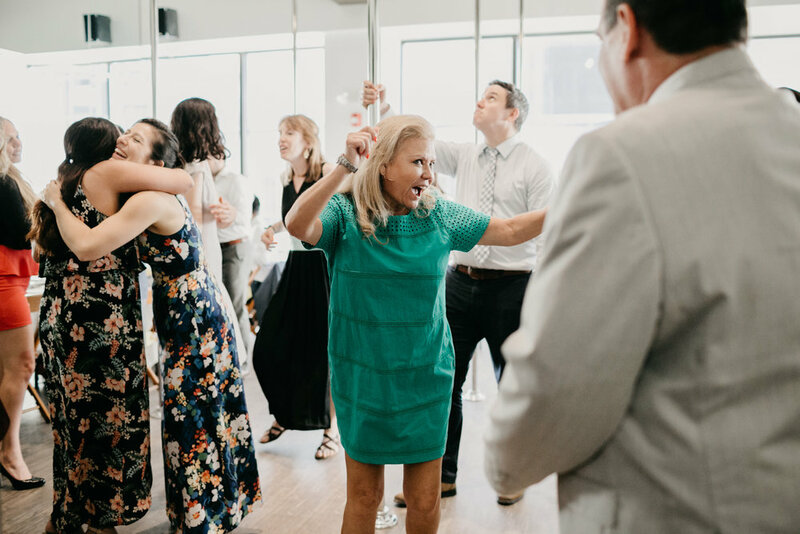 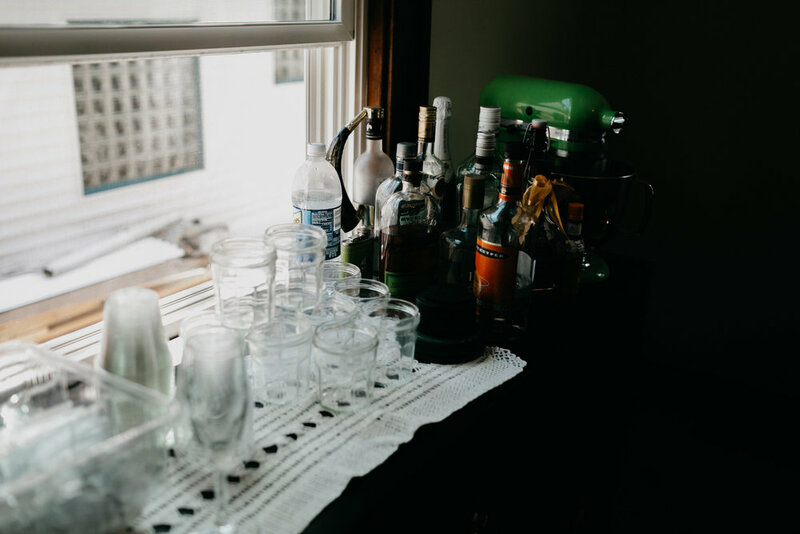 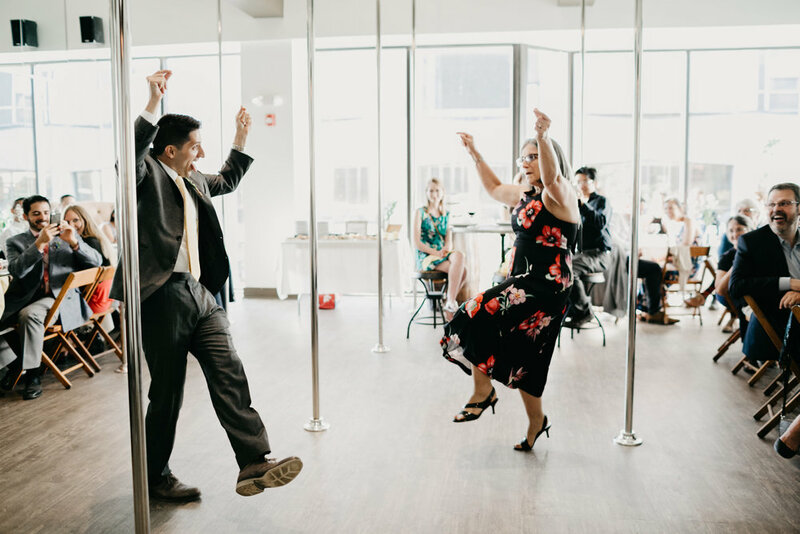 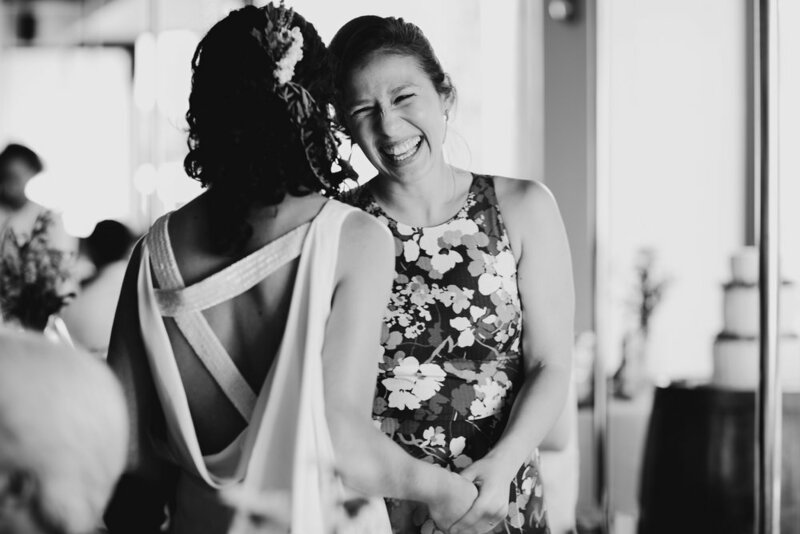 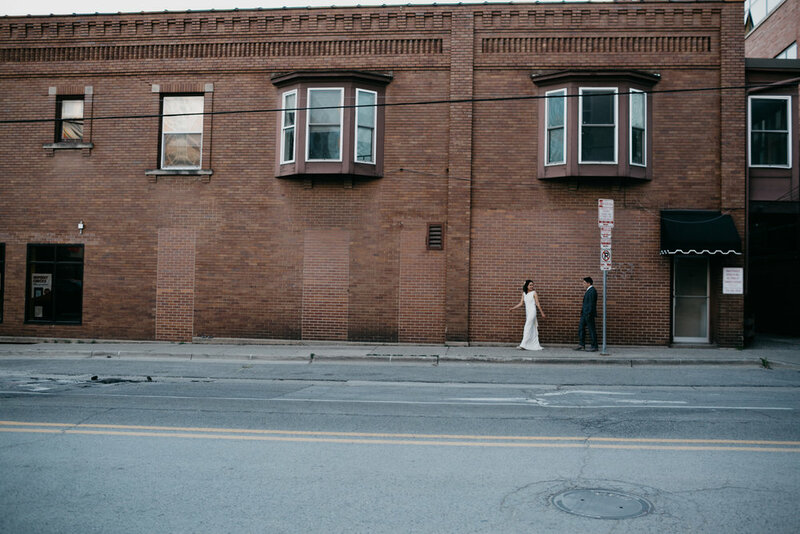 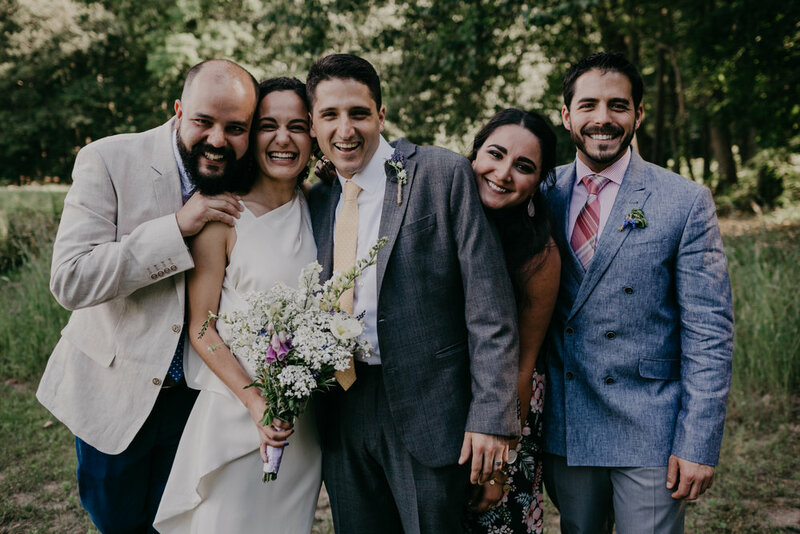 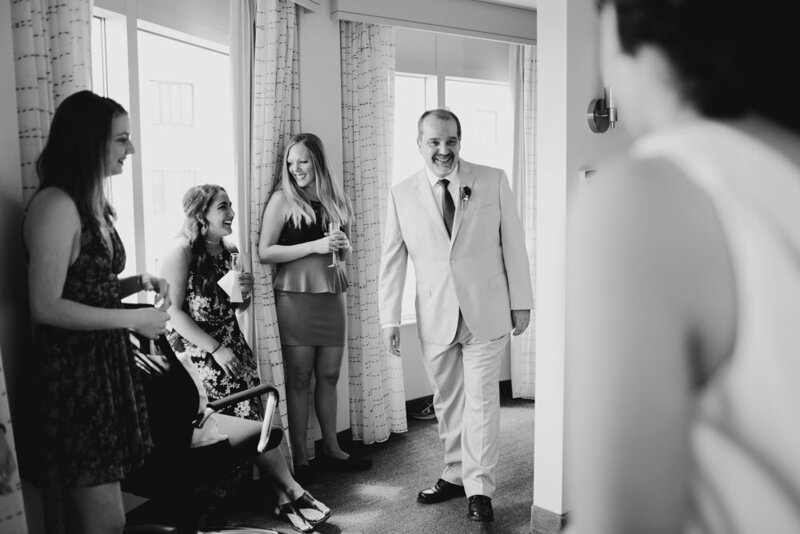 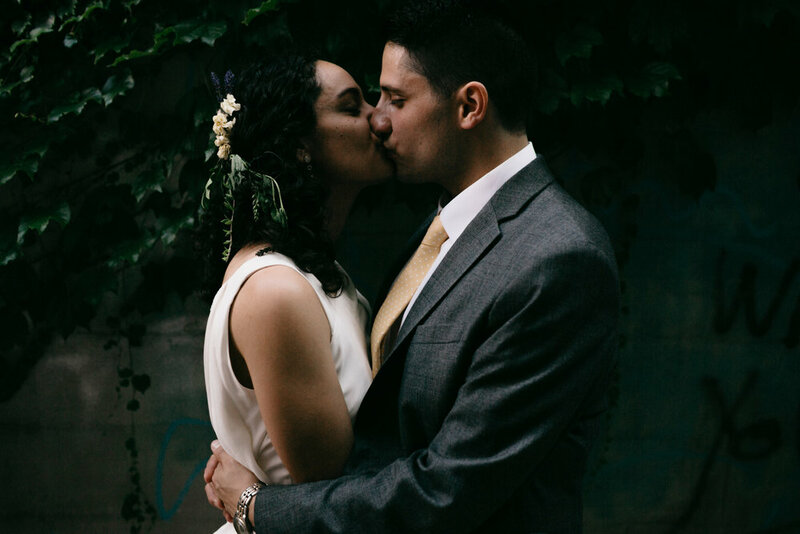 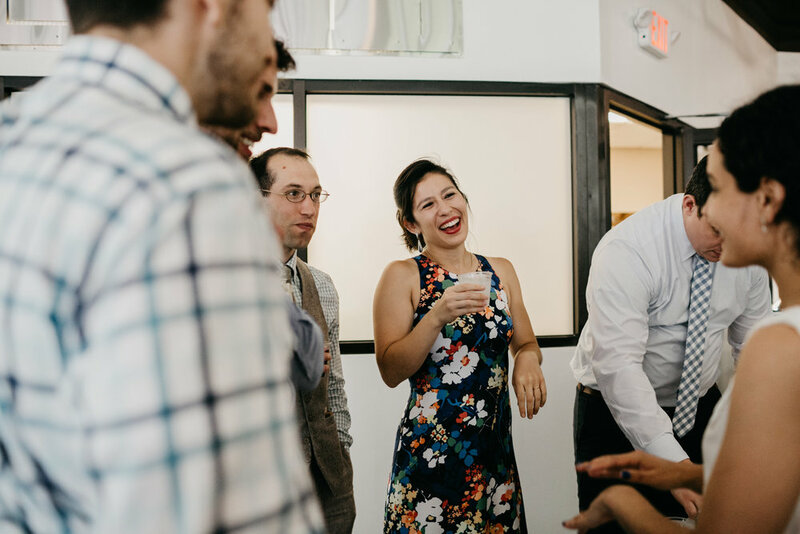 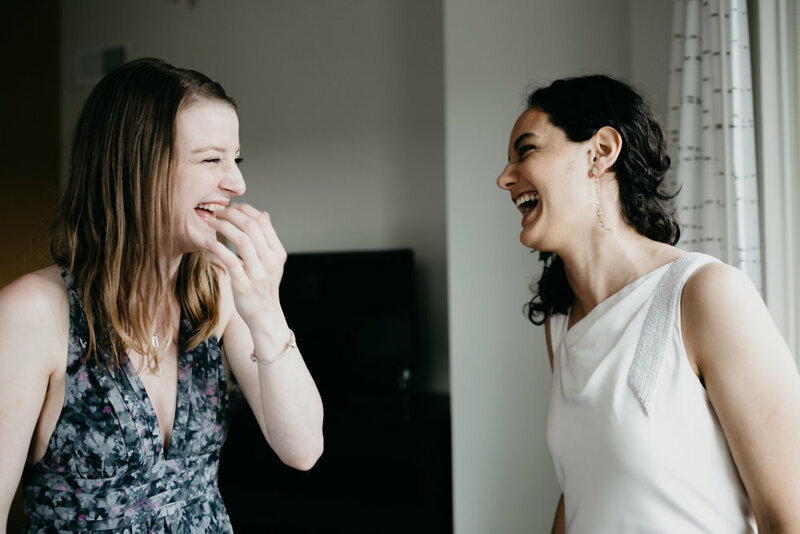 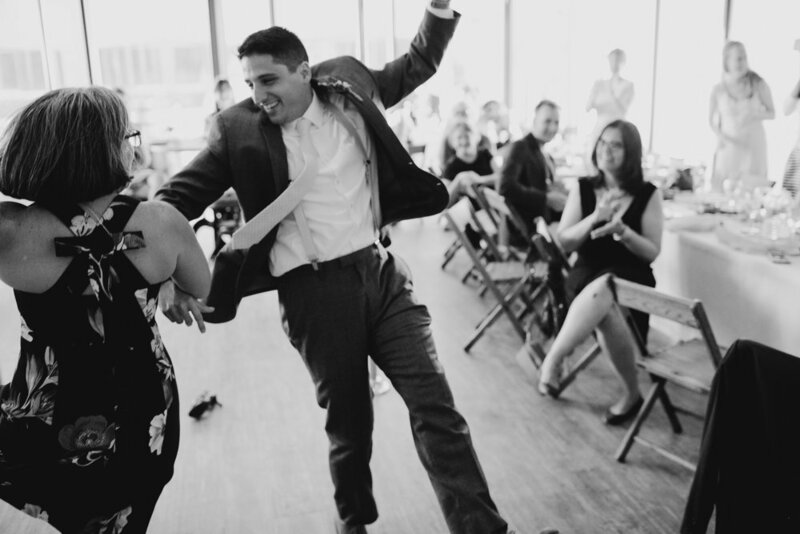 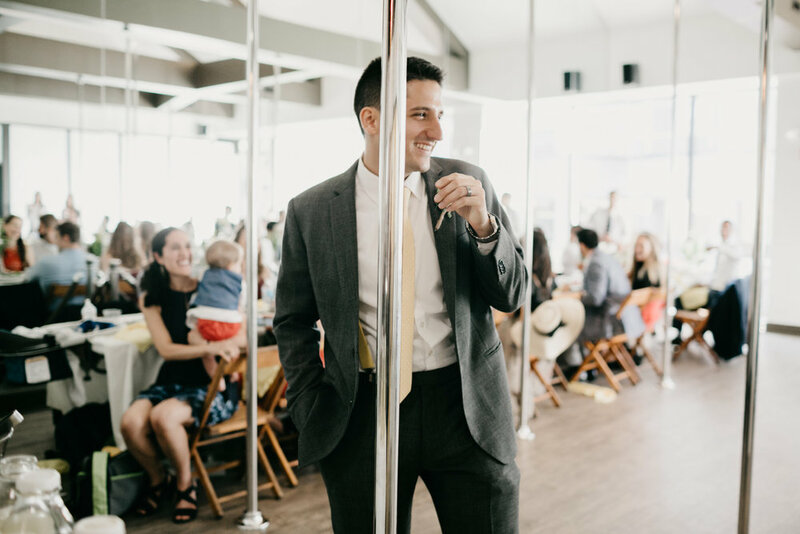 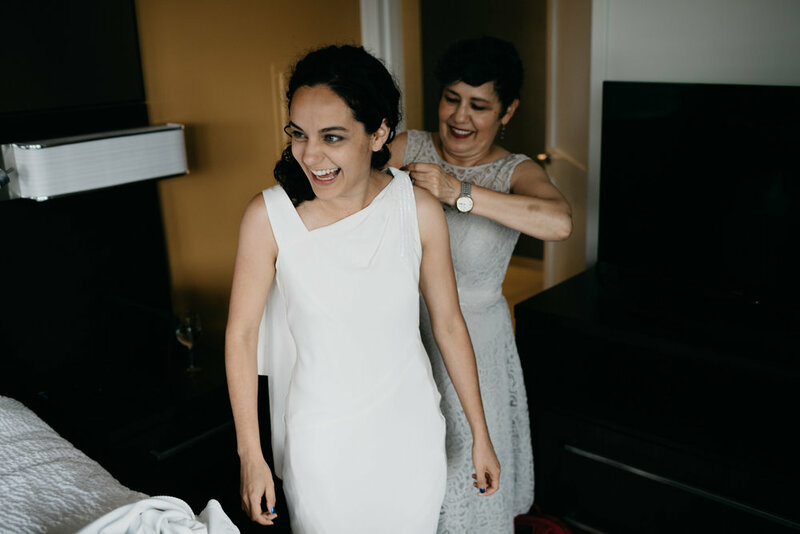 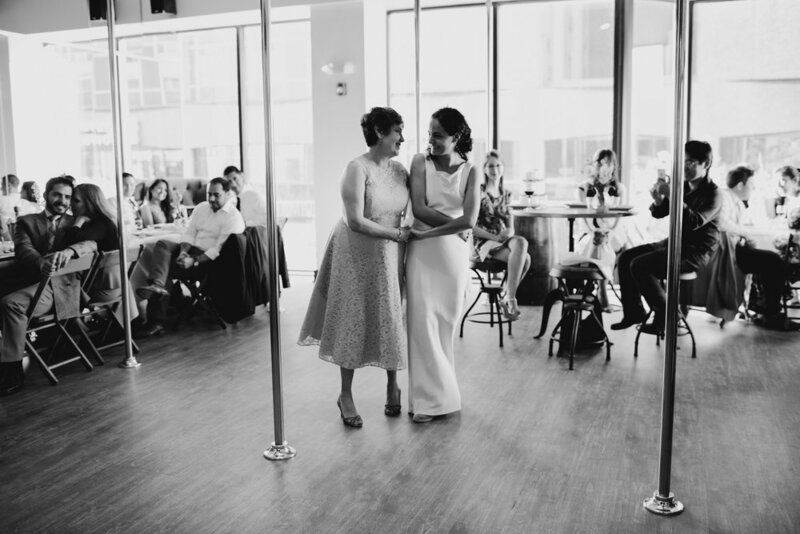 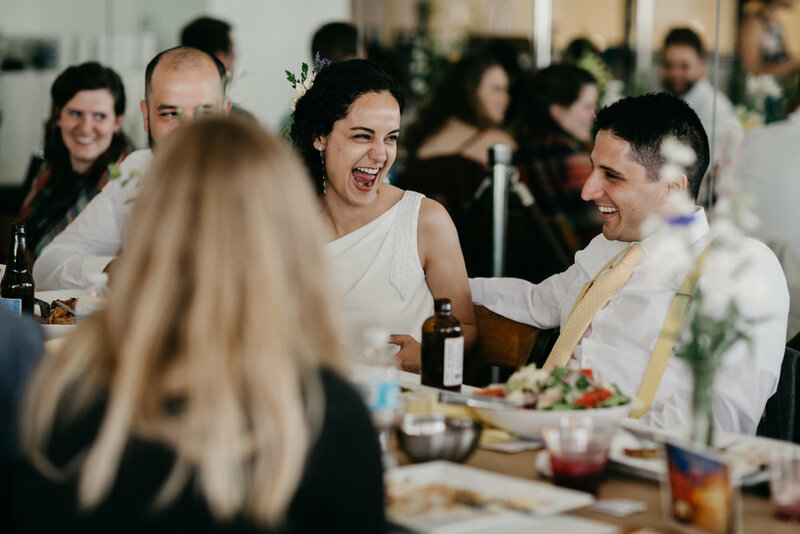 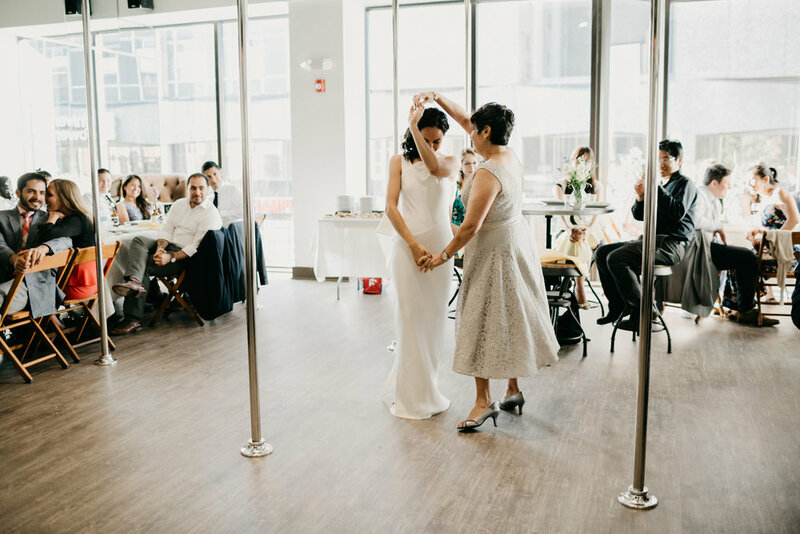 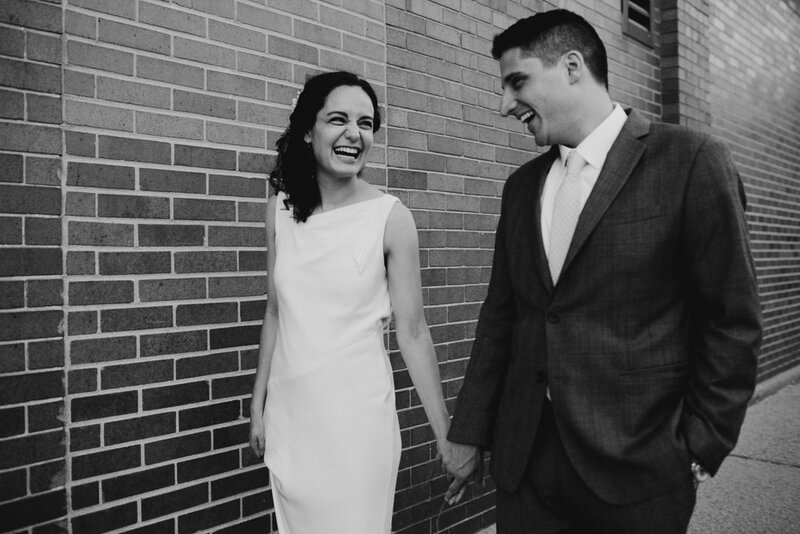 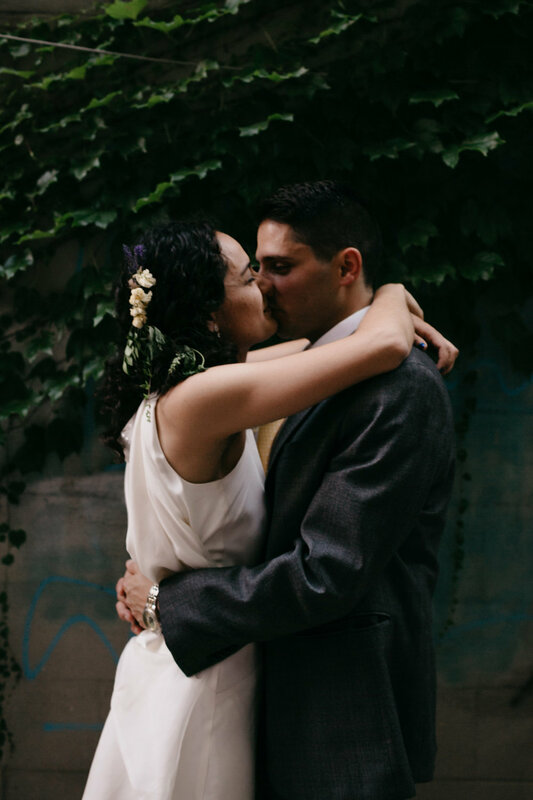 Their reception followed at Polarity (a pole dancing studio that may just be the perfect set up ever for getting people on the dance floor) with the most incredible cuban food from Frita Batidos that I still dream of. 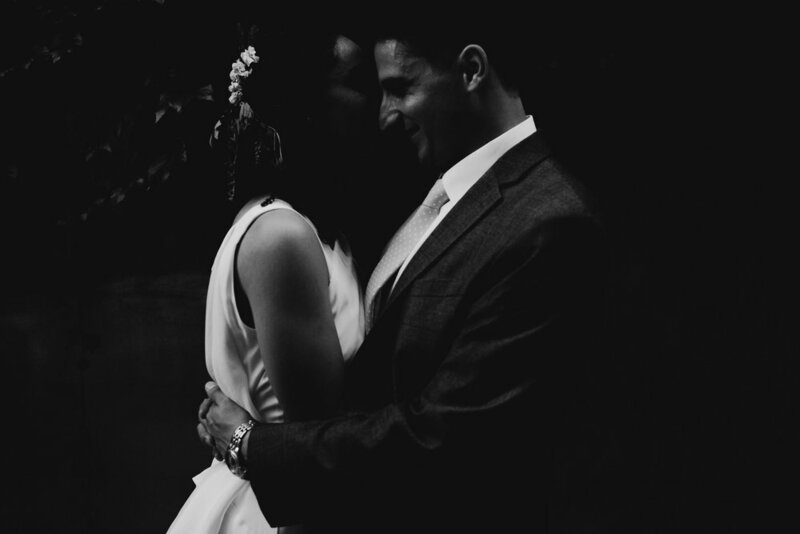 It was a perfect celebration that meant so much to the two of them and their relationships with everyone there. 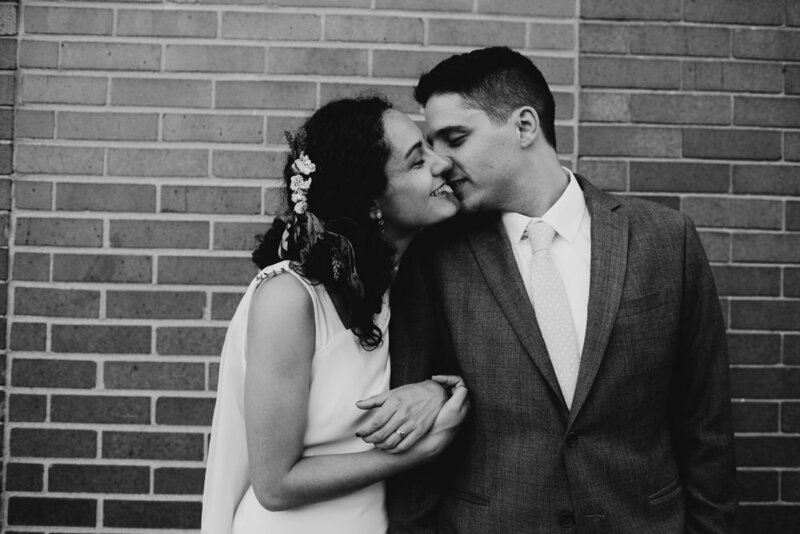 I'm all about that.